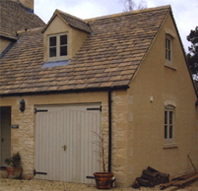 We offer a full range of building services in Gloucestershire looking after property homer owners dreams for that extension or loft conversion, or commercial work. We look after our customers from the beginning to the end of the whole process giving our clients peace of mind that your interests and build are in the right hands. We are a local Gloucester & Cheltenham Builders & contractors so keeping our local Gloucestershire reputation high is very important to us, we also believe in training up locally based people to provide the future skilled local tradesmen of Gloucester & Cheltenham.